In scale and in style, the Dartmoor collection of bath faucets and accessories is designed to delight. A gently flared spout is generously sized, adding beauty and function at the sink. Sculpted handles and finial detailing create a tailored look that's thoroughly classic. This trim kit requires MOEN valve 2510, 2520, 2570, or 2590 to complete installation. In scale and in style, the Dartmoor and trade; collection of bath faucets and accessories is designed to delight. A gently flared spout is generously sized, adding beauty and function at the sink. Sculpted handles and finial detailing create a tailored look that's thoroughly classic. Designed to complement the full Dartmoor and trade; bathroom suite. The Eva collection offers an elegant, transitional design that gives today's home timeless appeal with tapered, sophisticated lines. Eva has a sophistication that is booth livable and enduring. All MOEN bathroom faucets feature a flow-optimized aerator that uses up to 32% less water without sacrificing performance, making each one certified to meet WaterSense criteria. This trim kit requires MOEN valve 9265 to complete installation. Elegant, traditional design details and distinctive finishing touches present a sense of uncommon luxury in the Weymouth collection. Distinctive accents include porcelain inlays that feature Euro influenced decorative script and signature styling elements. This chrome exacttemp<sup></sup> tub/shower valve only was built to last by Moen. Designed for use in your bath. Align Posi-Temp Shower Only Faucet Trim Kit In Chrome (Valve Sold Separately) From large, open master baths to minimalist powder rooms, Align faucets and accessories bring a refreshed modern look to your home with simple lines and contemporary style. 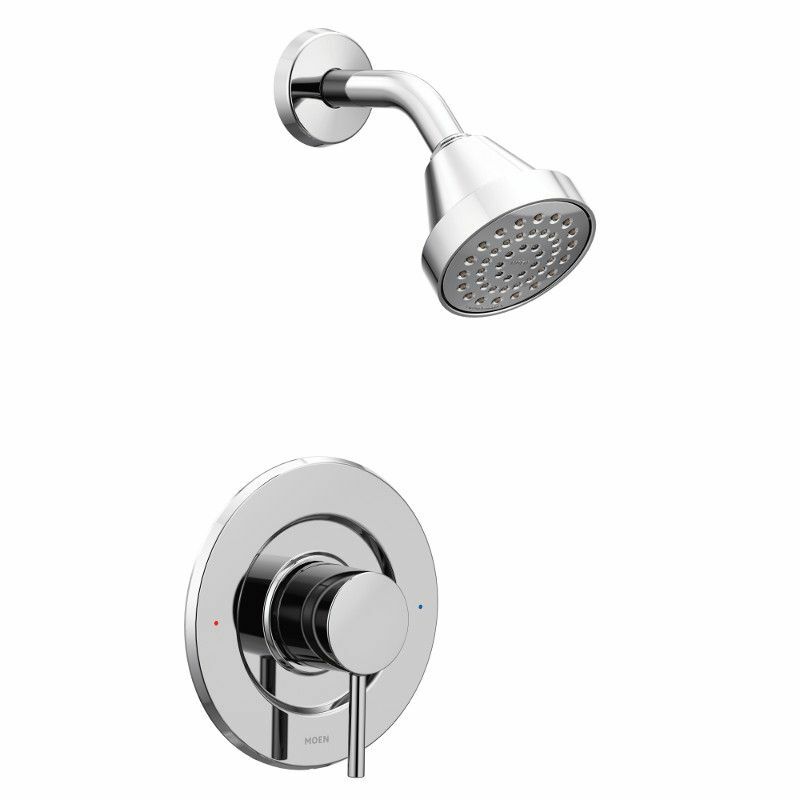 Align Posi-Temp Shower Only Faucet Trim Kit In Chrome (Valve Sold Separately) is rated 5.0 out of 5 by 1.